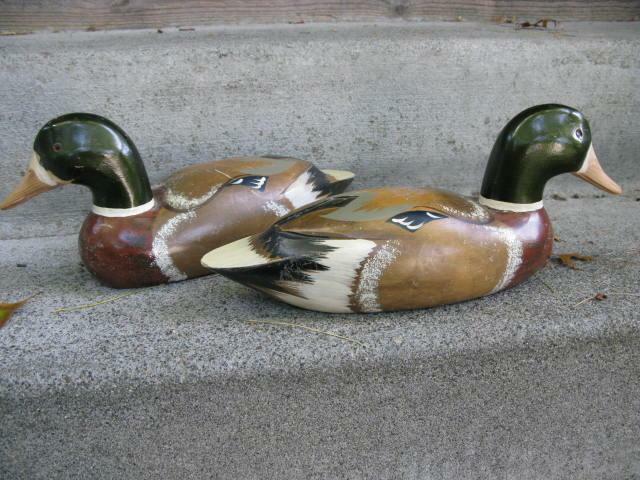 Pair of DUCK DECOYS WITH GLASS EYES CARVED WOODEN AND HAND PAINTED . They appair to be solid with flaf bottoms and are unsigned. The condition is good for a vintage item such as these. There are some paint chips here and there but the overall condition is great. 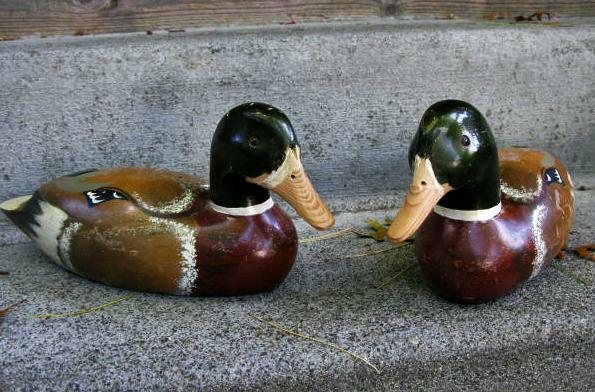 They are the same : 14.5 inches long and 6 inches tall x 5 inches wide. 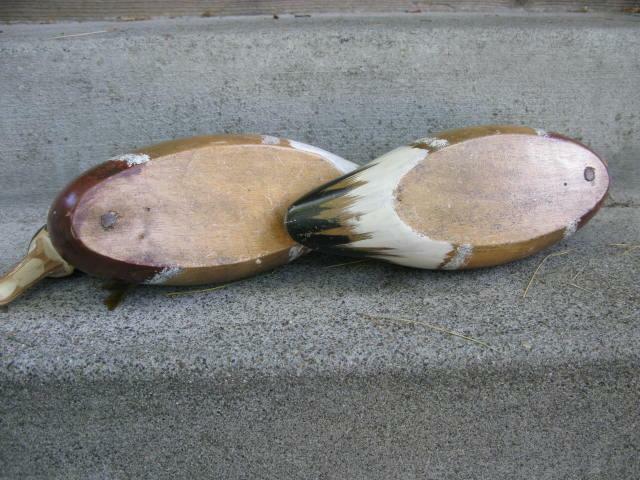 I am selling them as a pair. 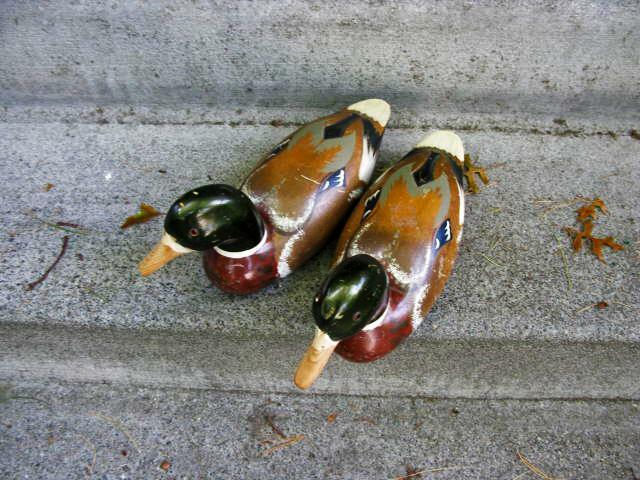 Items Similar To "DUCK DECOYS WITH GLASS EYES x 2 CARVED WOOD AND HAND PAINTED"